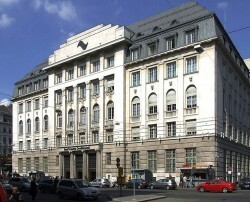 Bank Austria will sell its affiliation in Kazakhstan, ATF Bank, which was acquired in 2007. ATF made losses into the billions. Bank Austria has found a buyer for the loss-making affiliation in Kazakhstan. According to UniCredit, the Italian parent company of Bank Austria, ATF will be taken over by the enterprise KazNitrogenGaz, which is owned by businessman Galimzhan Yessenov. In January, news agency Reuters learned that ATF would be sold for $ 500 (€ 385,18). This article includes a total of 150 words.